The wife of my second cousin, a "Living Lambert." My third cousin, a "Living Holstad." The daughter of my second great grandfather, Ingrid Sophia Lundberg. She would have been 142 years old today. 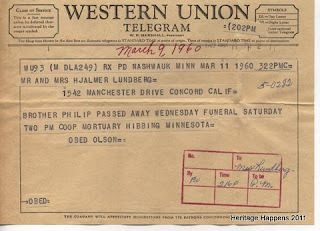 The husband of my great grand aunt, Paul Olsen. He would have been 167 years old today. The husband of my third cousin, a Larsen.